Beer is most expensive in Vanuatu and Kiribati where it averages 12.00 USD a bottle followed by Oslo where imported beer in a restuarant averages 11.00 USD and domestic Beer 10.00 USD a bottle. A midrange bottle of wine from a store is most expensive at an average 20.00 USD a bottle in Amman, Bangkok and Oslo. Cigarettes are most expensive in Sydney where a packet of cigarettes averages 17.00 USD. The full July 2012 Alcohol & Tobacco Basket cost of living rank for all international locations can be found here. Xpatulator.com’s cost of living data is based on prices for the same quantity and quality of goods and services, representative of expatriate lifestyle, in each city. The data is collected and updated on a quarterly basis. The cost of living data is used by Xpatulator.com clients to calculate salary purchasing power parity, cost of living allowances, and customized (i.e. clients can select their own base city) cost of living indexes for expatriate assignments online, using Xpatulator.com’s 3 premium content calculators. 1. 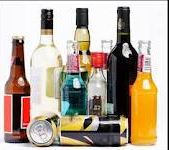 Alcohol & Tobacco (2%): Alcoholic beverages and tobacco products. 2. Clothing (2.5%): Clothing and footwear products. 3. Communication (2%): Telephone, Internet, Mobile Contract and Calls. 4. Education (5%): Creche Fees, School Fees, College Fees, and Tertiary Study Fees. 5. Furniture & Appliances (5%): Furniture, household equipment and appliances. 6. Groceries (16.5%): Food, non-alcoholic beverages and cleaning materials. 7. Healthcare (5%): Doctor Consultation rates, Private Ward Rate, Prescription Medicine, and Private Medical Insurance Contributions. 8. Household (30%): Housing rental, utilities, local rates and residential taxes. 9. Miscellaneous (3%): Stationary, Linen and general goods and services. 10. Personal Care (3%): Personal Care products and services. 11. Recreation & Culture (6%): Books, Camera Film, Cinema Ticket, DVD and CD’s, Sports goods, Theatre Tickets. 12. Restaurants Meals Out and Hotels (2%): Dinner at Restaurant (non fast food), Hotel Rates, Take Away, Drinks & Snacks (fast Food). 13. Transport (18%): Public Transport, Vehicle Costs, Vehicle Fuel, Vehicle Insurance and Vehicle Maintenance. Xpatulator.com is the most comprehensive source of international cost of living information. We provide free international cost of living overviews and rank information covering 13 cost of living baskets and every country around the world as well as premium content calculators. Founded in 2007, Xpatulator.com’s mission is to organize the world’s cost of living indices, exchange rates and relative hardship indices and make it accessible and useful to all. This entry was posted in cost of living index, cost of living rankings and tagged alcohol and tobacco cost of living, cost of living, cost of living ranking, cost of living ranking July 2012. Bookmark the permalink.